I’ve built five multimillion dollar products over the last 14 years, and I’ve done it by developing the right product habits, not by magically knowing exactly what the customer wanted. In this book, I’ll show you the five product habits that you need to find the critical problems that customers have and solve them better than anyone else. "Hiten covers the fundamentals that you need to know to build great products today. Even familiar concepts become more useful with Hiten's analysis and insight." "When I was working on a number of products that got to massive scale, Hiten has always been one of the people I go to for advice. His insights on product teams and building habits and data are worth reading for any team." 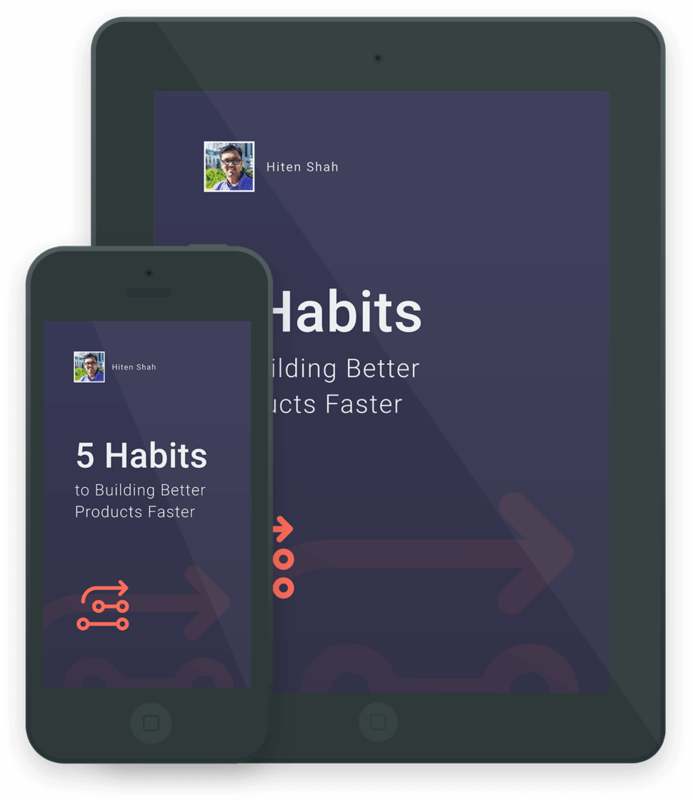 "Hiten has distilled 15 years of building products into a single book. Read it, memorize it, post it on your wall so you don't have to learn the hard way." Enter your email to get the free book.